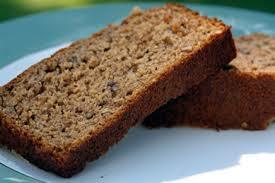 Try this yummy high protein, gluten-free bread as a snack or for breakfast! Mix the banana, sweet potato, eggs, and almond butter in a bowl. In a seperate bowl combine all dry ingredients. Pour into a bread pan. Bake at 350 degrees for about 20 minutes. Don’t leave it in too long or it will be dry. 214 calories per serving. 16 grams of carbs 8 grams of fat and 21 grams of protein.